Spam, it's not just a meat product. If you've been doing things on the internet, then by now you've probably heard of spam. This is a form of e-mail that's used for marketing, and is really successful at just annoy people. It has become quite a problem on the internet, because people are constantly visiting sites and registering for products and services. When you register for something and include your e-mail address, chances are that e-mail will be sold and distributed over a wide network of marketing databases. The standard way to get a company to stop sending unsolicited e-mail used to be type UNSUBSCRIBE, or whatever the key word is for that particular sender in the subject line, to let them know that you don't want to receive any more of their messages. Or sometimes a link will be provided. Unfortunately, sometimes an unscrupulous company will use that tactic to just verify that you have a valid e-mail address that they continue sending messages to, and you have to get downright nasty in order to be taken off of their list. Until there is more regulation in this area, and stiffer penalties for offenses, spam will be one of those hazards on the information superhighway. Due to privacy concerns, ACS does not check customer's e-mail every day to see if they have spam. It is the customer's responsibility to keep their inbox clean. 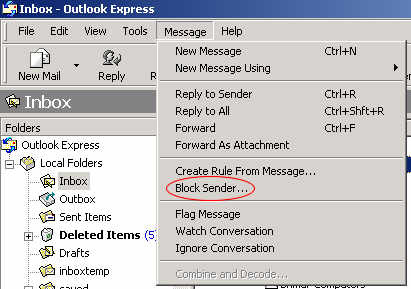 Here is a good way to block messages in Outlook Express. Just click on the message, then go to the top and Click on Message, and go down to Block Sender. Problem Solved. This link should be helpful to those of you wanting to become more familar with the spam problem. On a final note, you, the end user are responsible for the upkeep on your e-mail account. ACS does not and will not accept any responsibility for outside, or third-parties who attempt to send unsolicited e-mail to you, as we do not control the distribution of your e-mail address to any outside parties, and will not divulge any private information about our customers. We do not allow our servers to be used for the purpose of "bouncing" or forwarding messages in bulk. We can make no guarantees about the ability to send or receive e-mails to other services outside of ACS, because we have no outside affiliations with other companies. 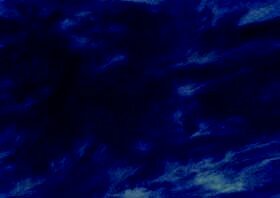 We also are under no obligation to run any type of screening procedures, as this could be considered censorship, and is outside the confines of the type of internet service we provide.